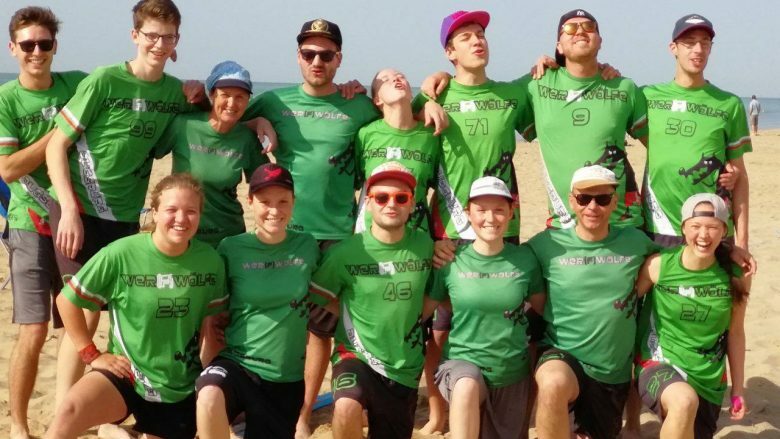 This past weekend a pack of Wolves traveled down to Bibione, Italy to a 4 day beach tournament. Having not really played together all that much, this group of people came to Bibione as individuals and left as one big lovey-dovey team. The amount of love, support and connection that this team has shown for each other is truly unbelievable. Although it took a few games to learn each other’s tendencies and get used to playing on sand, the chemistry between the team continued to strengthen with every game and by the end it was as though we had been playing together for years. By the 4th day of the tournament we were definitely tired, especially after dancing until sunrise at the tournament party and enjoying one last skinny dip under the moon at 7 in the morning. But our tiredness was ignored and the Wolves continued to work 110% both on the pitch and on the sidelines cheering each other on. The tournament ended with a beautiful team huddle full of smiles, happy tears and full hearts. Waking up this morning after some well deserved sleep (although not enough), the team is suffering from some serious post tournamnet depression and just can’t wait to get back on the field again. A big ‚thank you‘ to all the teams we met along the tourney and a special thank goes to Associazione Sportiva BB Sea Ultimate for organizing this beautiful event!